Leader of CannonDesign’s health practice in the Boston office, Brian McKenna develops collaborative client partnerships, leads multidisciplinary teams, and uses lean methodologies to help healthcare organizations achieve strategic goals and improve performance. 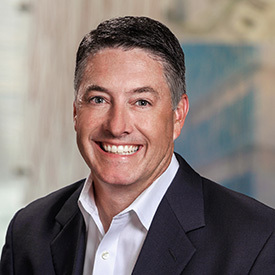 Brian brings more than 20 years of experience in healthcare design and construction to projects and has successfully led teams for health projects of all sizes across the Northeast. He has distinguished himself with his ability to challenge conventions and help clients improve processes, navigate uncertainties, and achieve fiscal goals. It’s an exciting time to be a healthcare architect. There’s a lot of uncertainty occurring in the health industry, and clients are looking to architects to solve more than just traditional real estate challenges. By harnessing research and design thinking, we’re able to help clients understand the root causes of their challenges and develop holistic solutions that prepare them for the future.